With mobile devices being included more and more into the lifestyles of a large proportion of people, making your business visible online has become an invariably important strategy. Services like Google Now, which depend heavily on delivering contextual content to users, have changed the way in which people search for queries. Instead of simple search texts, people articulate what they are trying to search. So, the search query for local restaurants now becomes ‘get the nearest places to eat’. These changes shall force you to re-evaluate the traditional ways in which you had been doing search optimization for your local business. So, how do you use Search Optimization strategies to enhance local businesses? The first step would be to identify what you are targeting for. Local SEO 101 will tell you to include your locality’s city/town in your page, but apart from this, you should also have some other targets. Do not overcrowd your page, but keep enough mentions of your locality. The first thing you would have to do is, register yourself in the Google Places. It’s free and is the first step towards listing your business on the Google Maps. In due time, your business would get included in the local searches. Having a Google+ business page helps the cause. Include as much of details as you can, complete with some quality pictures of your business. Frequently Asked Questions are the more important with Local SEO. Google’s updated algorithm (dubbed as Hummingbird) now works towards connecting the search queries with the FAQ content of the pages. Filling your FAQ section with some new content will be a smart investment, which may lead to increased directions to your site. Someone finds your business online, odds are that they are using their tablets or mobiles. Make your website friendly to such devices. Build a dedicated mobile site if possible. No one likes to have to load a desktop site onto the phone. After doing all that you can, if you are still unable to see increased incoming traffic, start curating your content. The best way is to include content that is actually useful to the locals. Even if you manage to fool search algorithms, the ‘human’ visitors are the ones who buy from you. SEO takes time. The strategies directed towards increasing your incoming traffic, should be tweaked well to serve your local objectives. The steps are incremental, and in due time, search engines would become more contextual, cracking open a wider arena to exploit. For the last several years, Google has attracted around 65-70% of all Internet searches. This means seven out of ten prospective clients use Google to find a local business in your locality. Hence, it has become the need of this hour to establish your online presence locally as well. 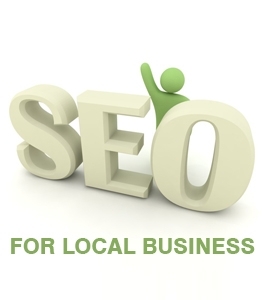 Check this link for affordable local business SEO solutions. What’s Good For You – SEO or PPC?